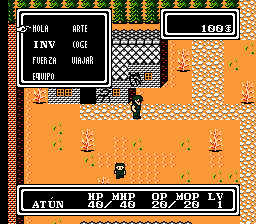 I am toying with the idea of making a full translation for this game, I tried in the past but I failed miserably due to the graphics being mostly compressed. 03 March: I already have a dump of the script. 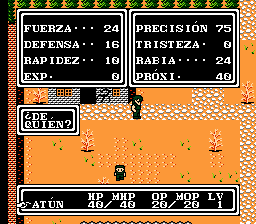 I am making this post to garner some interest in the game and , hopefully, get some help in the form of text translation; I can barely read hiragana and I have a very hard time with katakana as many of them look very alike. 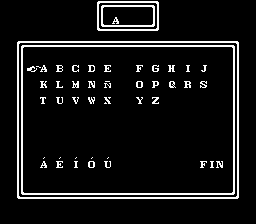 This is supposed to be a long term project so no hurries there, any help will be greatly appreciated even if only is a one or two sentence translation. 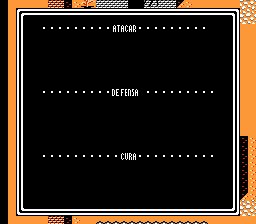 There is still some room to fit a few more tiles so a french, portuguese, german and other european languages might be possible to do with the base that there is already even though my goal is to make an english / spanish localization side by side. 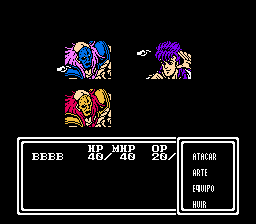 All the work that has been done has been towards the spanish side but it can be very easily localized to English or any other languaje that uses roman characters. 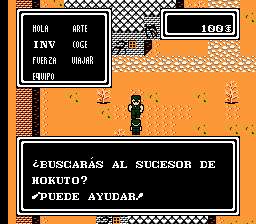 The game is not great by any means but it is the only one Hokuto no Ken famicom game that still can not be enjoyed by non japanese speakers.